The black experience is a beautifully complex one, the black student experience is no different. Put simply, being a black woman who is a student is quite difficult. I am sexualised when I don’t want to be and judged for owning my sexuality. I am sometimes seen as no more than ‘another’ black girl with a nice bum, who can dance, catch whines off without permission, loud ghetto and hood. None of these attributes are necessarily bad, but some are not even true, yet they are thrown upon me. What’s worse is that while I am being told what kind of person I am because they see me, see that I am a black woman, they try to limit my sense of empowerment. I can have a nice bum, but I cannot articulate myself in a political debate, I can dance, I can whine, but I am not allowed to do so without some guy coming up behind me. Me being loud, ghetto or hood is only acceptable when I’m rapping the lyrics of a drill song. When I do feel empowered it’s usually because I’m around other people like me, I know that no one is going to joke about those negative stereotypes about black women which in reality can hinder what I want out of life. I fear, and it’s a sad thing, that I and others like me can only feel empowered when we see someone just like us. 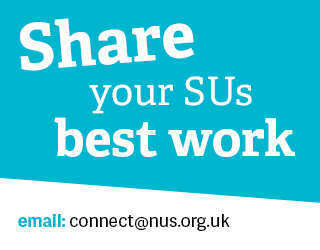 I would be lying if I said I wasn’t supported, I have friends, some of whom hold positions in the students’ union. These friends reassure me that I am being supported, even when I don’t feel like I am. I fight for a lot, I fight for black issues to be pushed to the forefront, often finding we’re focusing on LGBT+ causes or Islamophobia, implying that black people don’t fall into either group, much less all. I fight for intersectionality, I fight for black to mean people of African and/or Caribbean descent. I recently met with Melba Wilson, a member of the Brixton Black Women’s Group (BWG). She told us her life story which I was honoured to hear and found ridiculously interesting, but what stuck with me was her explanation of the BWG. She explained that they would meet and debunk Marx’s work from the perspective of Black British women. This stuck, and still does because I felt so bad, because I had attended my lecture on Marx and fully zoned out. Why? Because I couldn’t see why as a Black British woman, Marx would be relevant to my life focus: The Black British Experience. What they were doing at BWG is one thing that I think should no longer happen: using only the white experience in education. Our Euro-centric curriculum is supposed to prepare me for the world but by not covering subjects such as at the Black Panther Movement, the Black Liberation Front or the Brixton Black Women’s Group, it is doing far from that. When I am asked what it’s like to be a black student in the UK, I can honestly say it’s quite a complex experience. No doubt, expanding the curriculum and knowledge is improving. When I chose to focus one of modules on Black British Feminism, I feared that I would be shot down, because of age old arguments about not making everything about race or gender. But I was met with positivity and encouraged to progress on my interesting topic. Identity, for me, defines my experiences. I am black, I am Caribbean and I am Afro-Jamaican. If you know the stats, then you know that I am considered a minority as a black student, and more so as a Caribbean student. Whether you know it or not, want to believe it or not, West Africans and Caribbean people are different, so I do take offence when we are constantly treated as one. Last year I supported my friend’s application in starting a West Indian Society at my university, when our application was declined, their explanation was that we had the African Caribbean Society, even though there was already a Nigerian Society and multiple societies for different Asian communities alongside a collective Asian society. In the end, we got the go ahead for the society, but that comment still lingers in the back of my mind. Research shows that, I, as a black person am less likely to get a First than a white student. Such statistics are somewhat unsurprising but they are hurtful. To a certain extent it’s like despite my efforts I am destined to never break through the glass ceiling that I am also constantly told doesn’t exist. In many ways, being black does define my experience, but this shouldn’t be one of them. 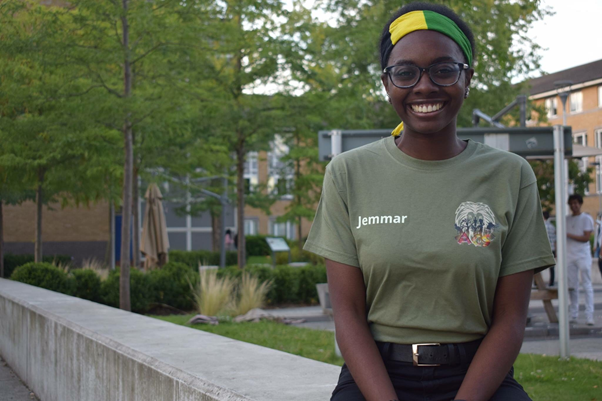 Jemmar Samuels is a Politics and Sociology student and course rep at Brunel University, and the Liaison Officer for the African Caribbean Society.